Target Corp., the largest private employer in Minneapolis, worked closely with the backers of the workplace scheduling ordinance that angered many businesses before city leaders dropped it last month. Target executives helped proponents of workers’ rights craft a rough framework for the ordinance, though one that was less onerous than the proposal that emerged publicly from the City Council, which would have forced businesses to tell workers their schedule 28 days in advance. The company’s involvement, which until now hasn’t been disclosed, reflects Target’s concern about what shape future scheduling rules will take. While the rule would have affected only a few hundred Target employees — at three regular Target stores and one Target Express in the city — it could have influenced the national discussion on workers’ rights, which affects the retailer because it must deal with the costs of varying work rules across the country. While the Downtown Council, the Minneapolis Chamber of Commerce and others rallied around Working Families Agenda by claiming there was “no problem” to be solved, Target Corp. and many other smaller businesses were engaged with advocates and workers trying to find solutions. Several of the community groups at the Target table have now had a long history of working with Target, one that stems from years of often tense relationships and friction caused by disagreements we had with the company. TakeAction Minnesota’s Justice for All Campaign, as the article details, helped move Target to implement “Ban the Box” policies internally and support them as public policy for all busineses as well. CTUL’s multi-year campaign to raise standards in the retail cleaning industry not only brought Target to the table as one of the most important retailers using subcontracted janitorial companies, but as a result of that campaign the company adopted a Responsible Contractor Policy for its cleaning vendors. This background is important as a lesson to advocates. Target was not at the table simply out of the goodness of their hearts. It was the result of years of hard work. That said, now that we have what is, in essence, a community bargaining table with a major corporation, I am happy to praise them for not taking the route that so much of the Minneapolis business community has taken when it comes to low wage workers, looking away and claiming there is no problem to be solved. Target has sat down with workers and advocates to find solutions. 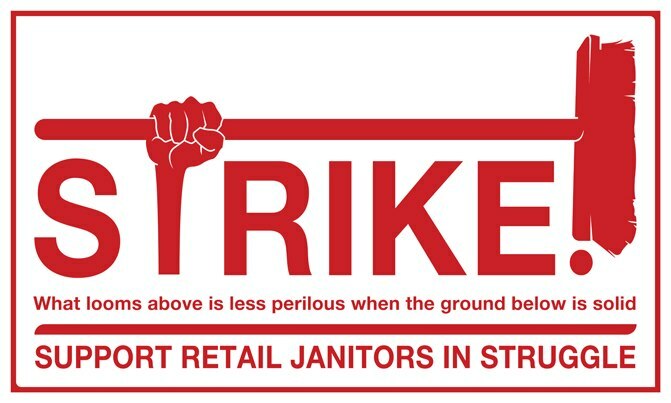 CTUL’s multi-year campaign to improve standards in the cleaning industry has included multiple strikes. Advocates are used to, while working on policy, sitting across the table from elected officials. 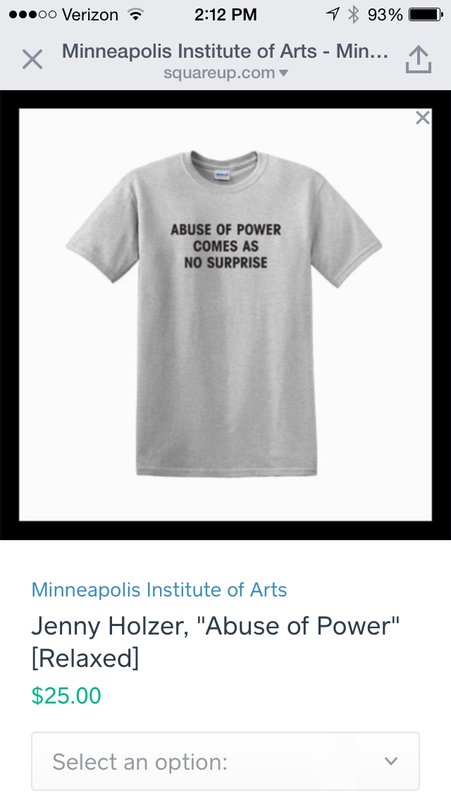 If we acknowledge, however, that corporations have enormous amounts of power in our polities, doesn’t it make sense to also mount campaigns aimed at bring those truly powerful folks to the bargaining table as well? Do we agree on everything while at that table? Of course not. 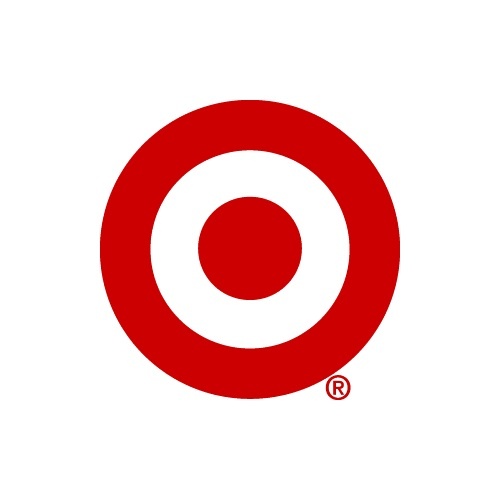 Having a partner willing to talk and problem-solve, however, is invaluable, and that is what is today distinguishes Target from so much of the business community in Minneapolis. While some told low wage workers their problems are imaginary, and while they still plot to ensure those workers do not have access to sick leave, others engage productively. In a progressive city like Minneapolis, this is the model that business should follow. The Downtown Council and Chamber should dump its consultants who convinced them to wage war against workers and the city and consider there are other paths and models they could follow. 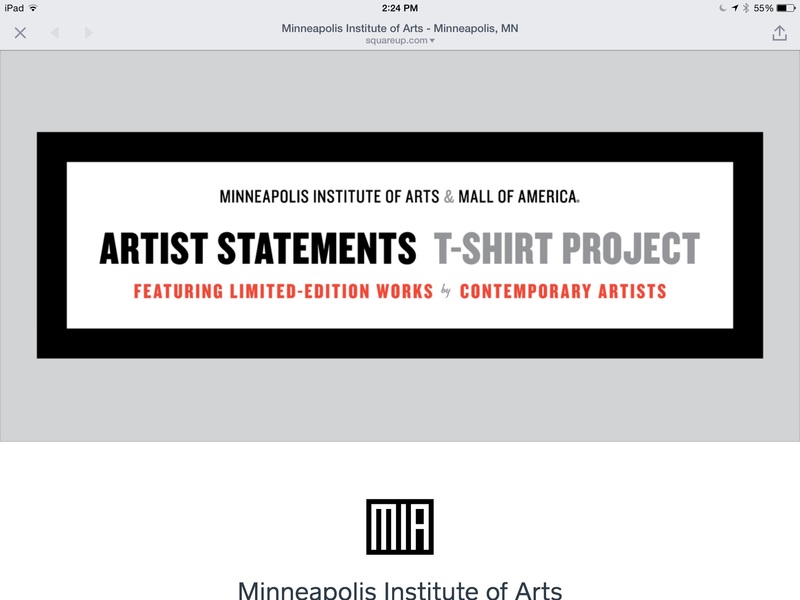 Can’t Make This Sh*t Up: Mall of America and MIA Hawk Iron(y)-Free Clothing! Especially designed for Jordan Kushner, Esq.! The new designs are super sleek, relaxed cotton that won’t wrinkle! They’re Iron- and Irony-Free! This should surprise no one. 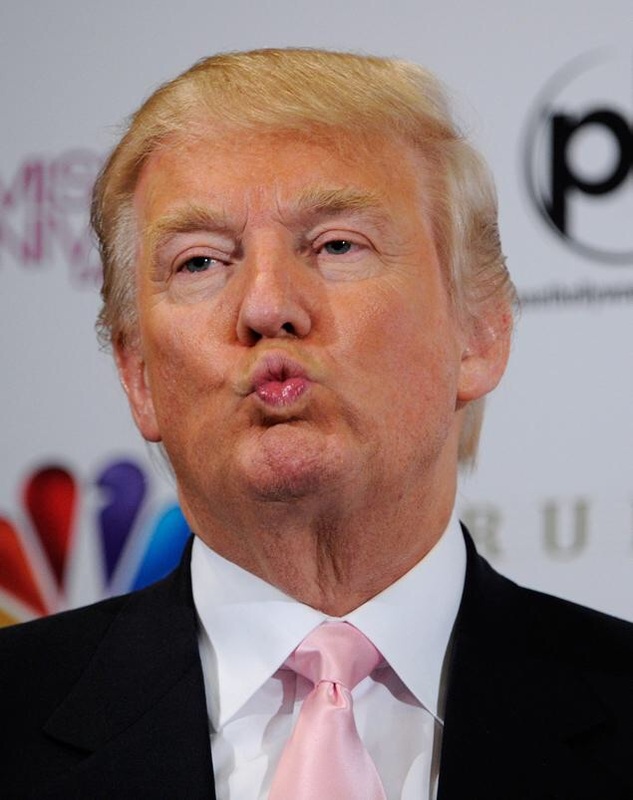 When we hear there are around 11 million undocumented persons living in the U.S., I often wonder where people like Mr. Trump think they are. The answer: everywhere. They are integrated into communities and industries. Some industries, like agriculture, would fall apart without their labor. That’s why I always say: Against Illegal Immigration? 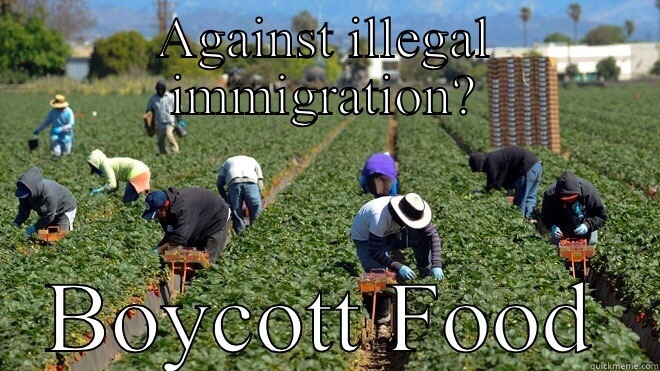 Live by your values and Boycott Food. Much contemporary debate has posed the question of the relation between race and gender, in terms that attempt to parallel race and gender divisions. It can be argued that as processes, racism and sexism are similar. Ideologically for example, they both con- struct common sense through reference to “natural” and “biological” differences. It has also been argued that the categories of race and gender are both socially constructed and that, therefore, they have little internal coherence as concepts. Furthermore, it is possible to parallel racialized and gendered divisions in the sense that the possibilities of amelioration through legislation appear to be equally ineffectual in both cases. Michele Barrett, however, has pointed out that it is not possible to argue for parallels because as soon as historical analysis is made, it becomes obvious that the institutions which have to be analyzed are different, as are the forms of analysis needed. We would agree that the construction of such parallels is fruitless and often proves little more than a mere academic exercise; but there are other reasons for our dismissal of these kinds of debate. The experience of black women does not enter the parameters of parallelism. The fact that black women are subject to the simultaneous oppression of patriarchy, class, and “race” is the prime reason for not employing parallels that render their position and experience not only marginal but also invisible. I’ve been thinking about the intersections of race, gender and privilege since last night, when I read the exchange in the photo above. Wintana Melekin is a friend, an organizer with Neighborhoods Organizing for Change in Minneapolis, and someone I consider one of the key young voices of Minnesota today who will be a state leader of tomorrow. 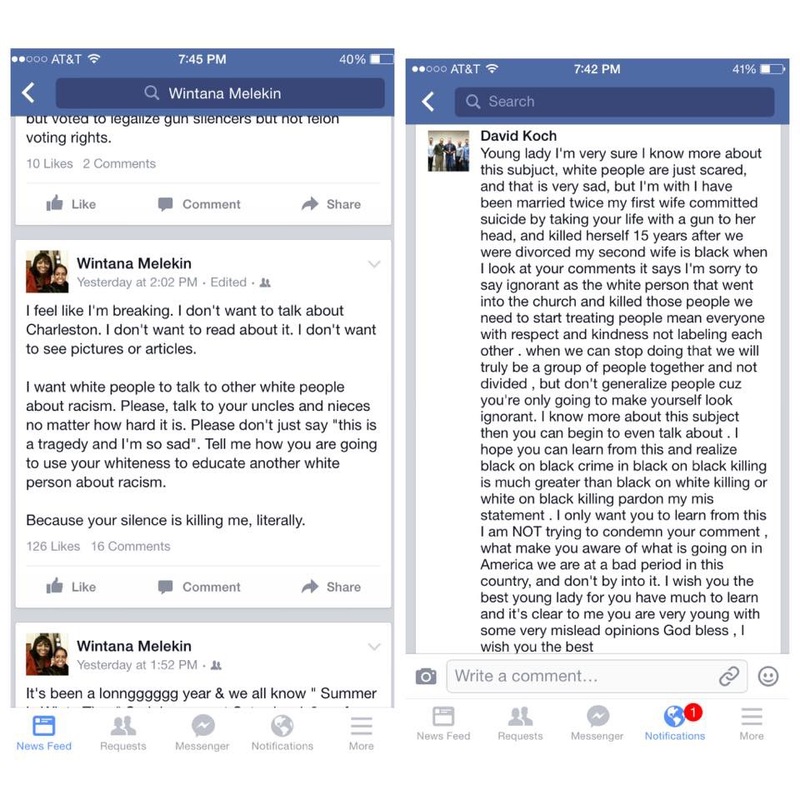 Expressing emotional exhaustion after the Charleston Massacre, Wintana suggested in this Facebook post that white people engage with each other on the issue of racism. It seems an uncontroversial request. If you feel compelled to tell a black person that you know more about race and racism than they do, Just don’t. Stop yourself. Don’t. If the country is in the middle of a crisis, with African-Americans being verifiably, explicitly, repeatedly, under attack, and you think you are the one who is being singled out, generalized about and you feel you just have to share that feeling with the world, Just don’t. Stop yourself. Don’t. If your reaction to a white nationalist who wore the flag of Rhodesia on his jacket and killed nine black people in church is a burning desire to lecture a young black woman about the real problem — black on black crime, Just Don’t. Stop yourself. Don’t. If you’re a man feeling compelled to open a conversation with a young black woman with the words, “young lady”, Just Don’t. Stop yourself. Don’t. If you cannot read a cry of pain and react with empathy and real engagement Just Don’t. Stop yourself. Don’t. In the debate over the Trans Pacific Partnership, we are witnessing something uncommon: progressives are putting a Democratic president on the defensive. This is only a good thing. The Republican base does this to their elected officials constantly. Their base is so feared that respectable politicians even kowtow to bonkers right-wing conspiracy theories. Democratic politicians rarely show any deference to the base and certainly don’t show much fear of that base. 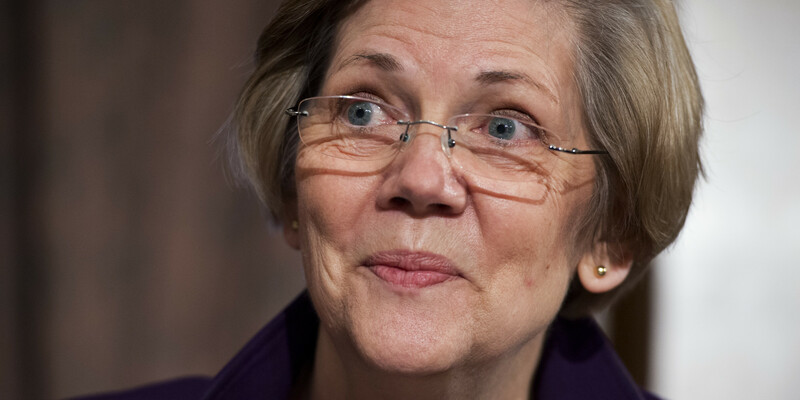 That’s what we are witnessing with President Obama’s public tussle with Senator Elizabeth Warren. He is fearing a coherent and informed critique from the left. Issues of trade and finance are seemingly impossible for progressives to get any traction on, no matter who is elected president. Whichever party is in power, you can bet money that someone from Goldman Sachs will be heading up Treasury. And when it comes to “free trade” agreements that end up hurting American and foreign workers while making global corporations richer and richer — well, it was Bill Clinton who got us NAFTA and it’s President Obama who is pushing the Trans Pacific Partnership. The President’s call to fast track the TPP is supported wholeheartedly by right-wing Republicans, while his own party has slowly woken up to forcefully opposing the deal. Enter Elizabeth Warren, Sherrod Brown and presidential candidate Bernie Sanders, who heave been the most visible opponents of the TPP. President Obama has seemed particularly rankled by the Senator from Massachusetts. After giving a pro-TPP speech at Nike the President said in an interview with Yahoo news that Senator Warren is “absolutely wrong” when she says the pact would be another bonanza for Wall Street. THE PLUM LINE: What’s your response to the latest from President Obama? SENATOR WARREN: The president said in his Nike speech that he’s confident that when people read the agreement for themselves, that they’ll see it’s a great deal. But the president won’t actually let people read the agreement for themselves. It’s classified. PLUM LINE: But don’t you get 60 days to review it after the deal is finalized, with the authority to revoke fast track? WARREN: The president has committed only to letting the public see this deal after Congress votes to authorize fast track. At that point it will be impossible for us to amend the agreement or to block any part of it without tanking the whole TPP. The TPP is basically done. If the president is so confident it’s a good deal, he should declassify the text and let people see it before asking Congress to tie its hands on fixing it. If only there were some way to get Senator Warren’s ideas and President Obama’s exposed to the whole country so we all can decide who to believe. That sounds like a fine idea. Mr. President, I voted for you twice and support this administration on many fronts, but on this we disagree. Do your base a favor and – instead of taking pot shots at us and the handful of leaders willing to represent our views — go toe to toe with Senator Warren, on national television. Hell, I’d even settle for the Clinton route and send Uncle Joe out to debate the Senator. It’s all good. Nothing to fear about an honest debate, no? Let’s woman up and take Senator Warren’s ideas seriously. Debate her. This would only be a good thing.